God has a bad reputation. Many think of God as wrathful and angry, smiting people right and left for no apparent reason. The Old Testament in particular seems at times to portray God as capricious and malevolent, wiping out armies and nations, punishing enemies with extreme prejudice. But wait. The story is more complicated than that. Alongside troubling passages of God’s punishment and judgment are pictures of God’s love, forgiveness, goodness and slowness to anger. How do we make sense of the seeming contradiction? Can God be trusted or not? 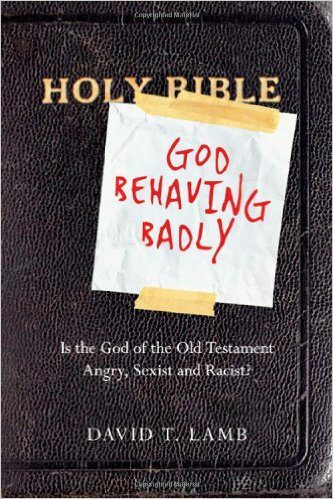 David Lamb unpacks the complexity of the Old Testament to explore the character of God. He provides historical and cultural background to shed light on problematic passages and to bring underlying themes to the fore. Without minimizing the sometimes harsh realities of the biblical record, Lamb assembles an overall portrait that gives coherence to our understanding of God in both the Old and New Testaments.